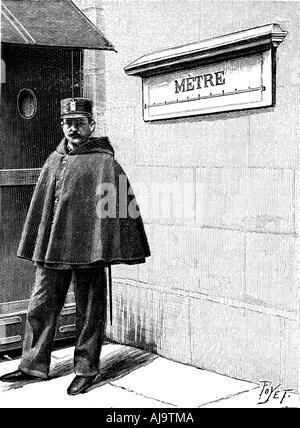 Standard Metre in the Petit Luxembourg, Paris. Set up when Metrification introduced by the French National Assembly between 1791 and 1795. 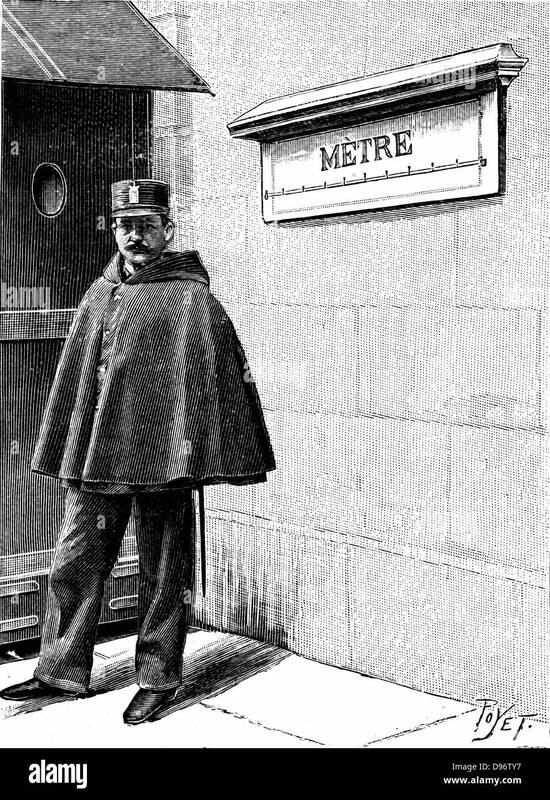 Metric units became compulsory in France in 1801. Engraving, 1904.